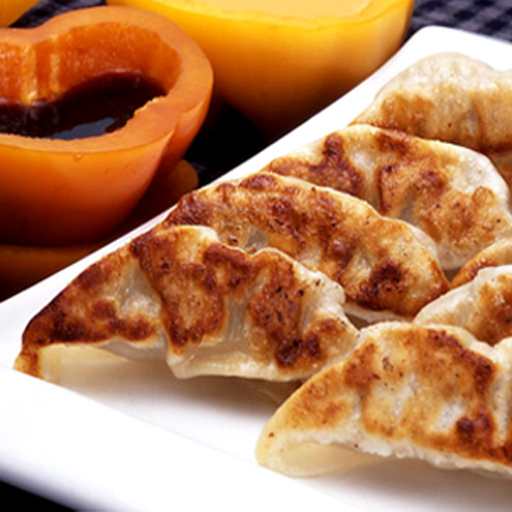 A spicy twist on the classic potsticker using all natural ingredients. 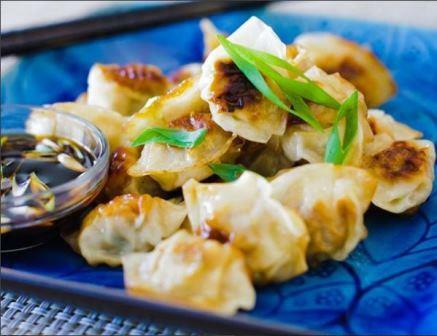 Mini Asian style dumpling stuffed with chicken, cilantro, cabbage, scallions, and soy sauce. 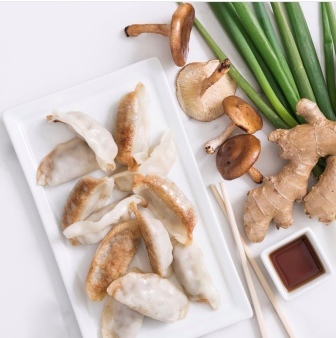 A traditional Asian potsticker filled with tender chicken coupled with lemongrass, a scallion-shaped herb with a delicate grassy-lemon flavor. 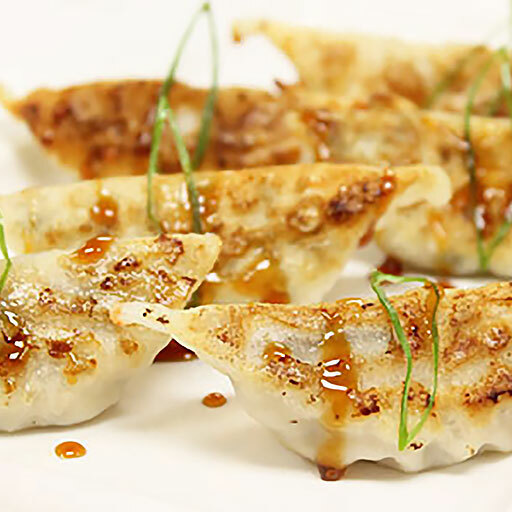 Korean inspired dumpling stuffed with Beef marinated in a traditional Korean bulgogi marinade of garlic, scallions, ginger, sesame soy and Mirin wine. 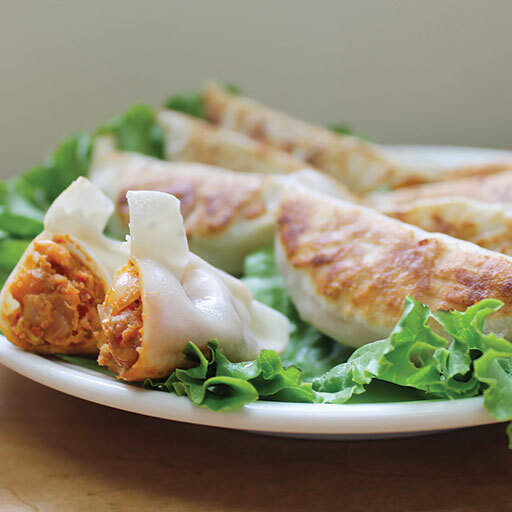 Korean inspired dumpling filled with savory pork balanced against the spiciness of traditional Kim Chi. 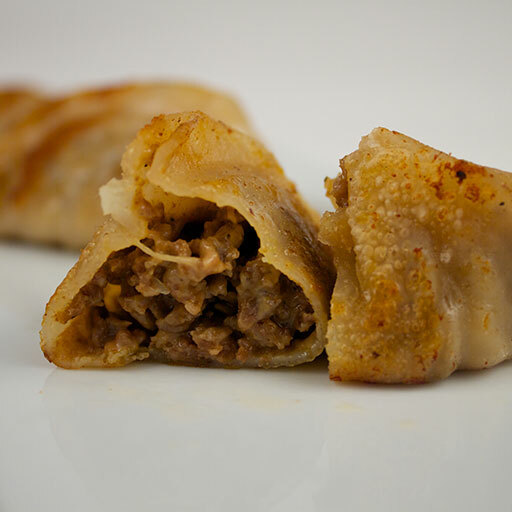 Traditional Philadelphia cheese steak wrapped in a handmade dumpling skin. 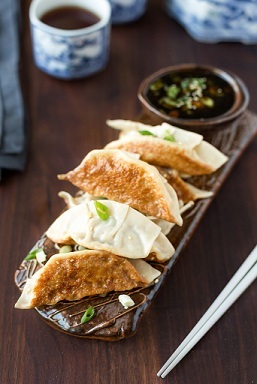 A traditional Asian potsticker filled with tender chicken and traditional teriyaki sauce. 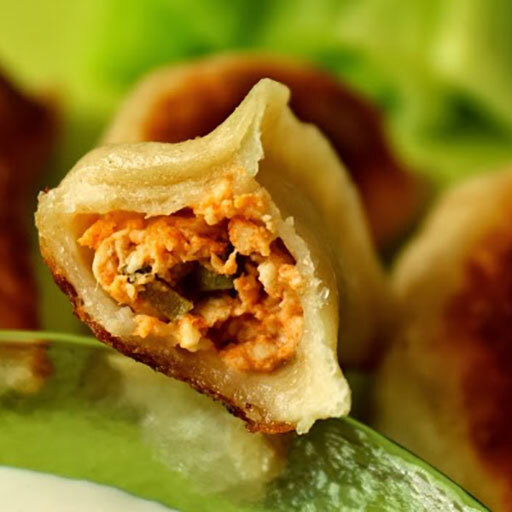 American classic Buffalo shredded chicken dumpling. 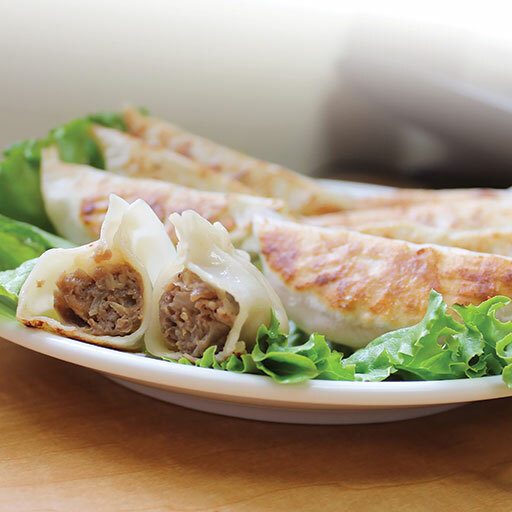 A miniature traditional Asian potsticker filled with Peking style duck and an amalgam of scallions, cabbage, cilantro and hoisin sauce and folded into an authentic skin. 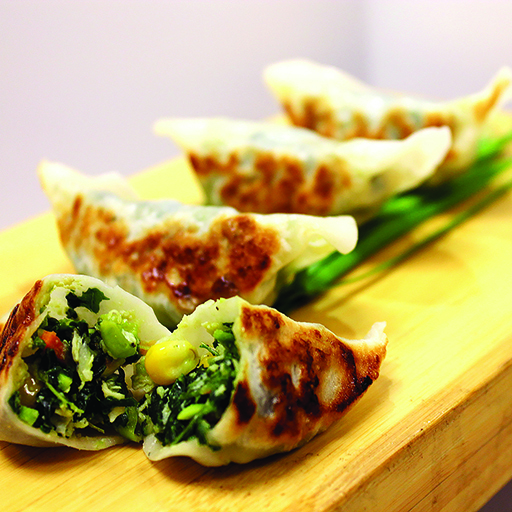 Traditional Asian potsticker filled with a blend of vegetables. 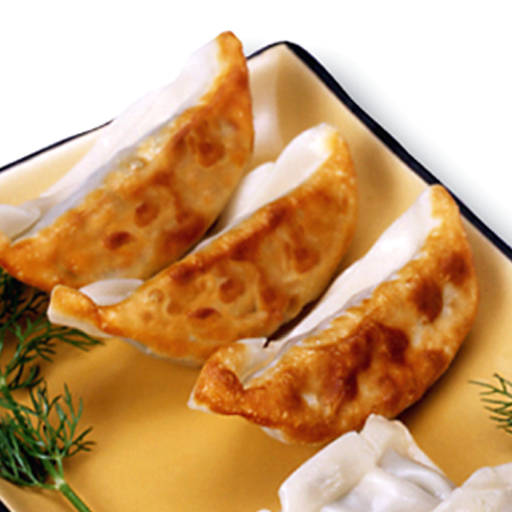 A traditional Asian potsticker filled with shrimp, folded in an authentic skin. 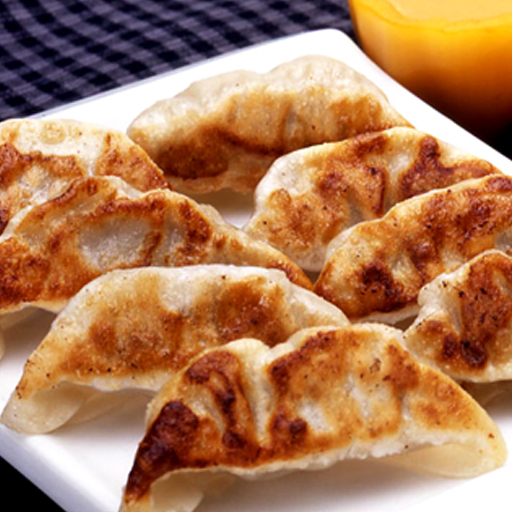 A traditional Asian potsticker filled with tender pork, cabbage and mushrooms, folded into an authentic skin. 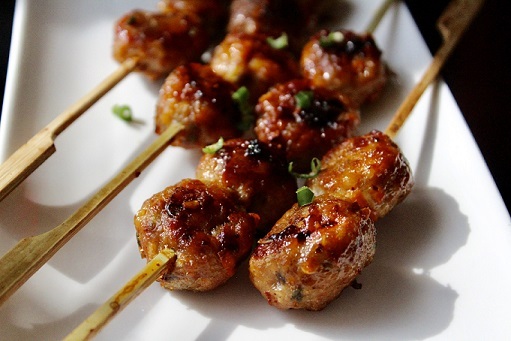 A duo of bite size, hand made chicken meatballs accented with ginger, garlic, and red chiles on a bamboo paddle skewer. 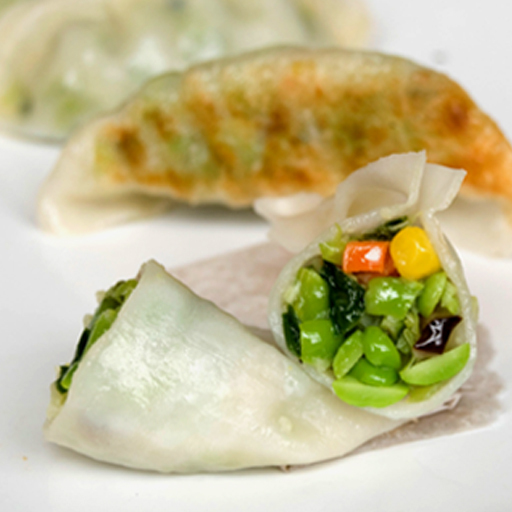 A classic blend of Asian vegetables in a crispy 3 oz. 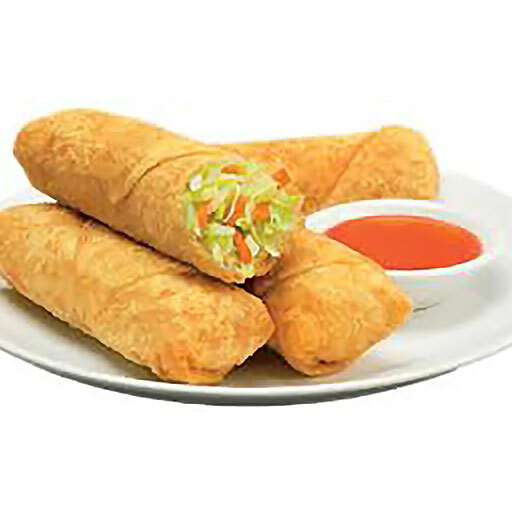 egg roll wrapper. 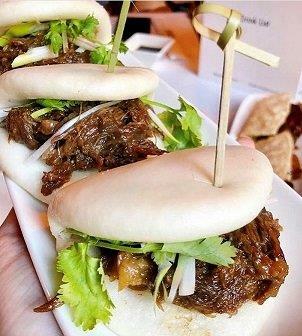 Sweet & savory BBQ pork in a pillowy steamed bun in a traditional appetizer size. 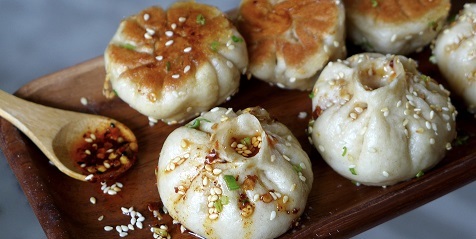 Sweet & savory BBQ pork in a pillowy steamed bun in a traditional appetizer size. 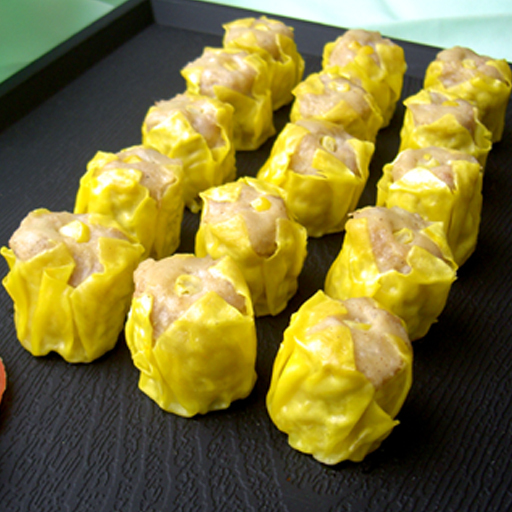 A dim sum favorite! 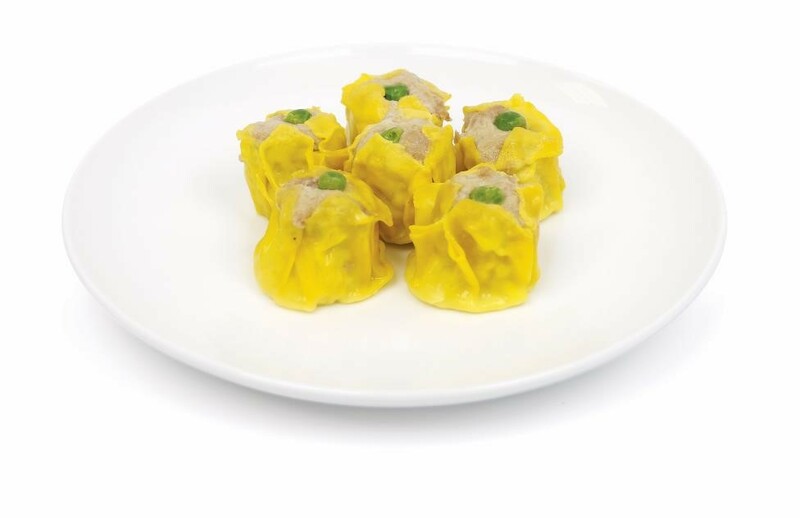 Our traditional pork & shrimp sui mei. 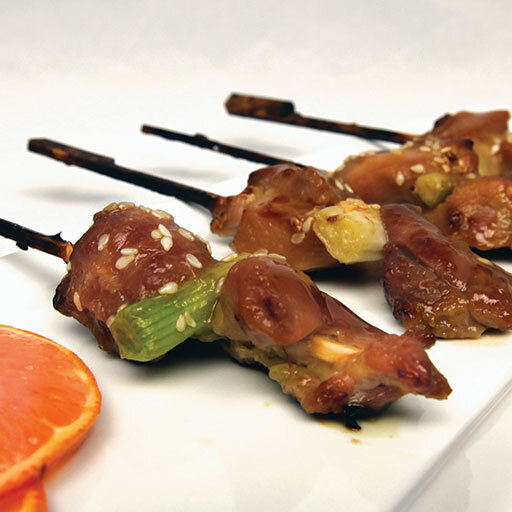 Tender chicken thigh meat, slow marinated with Asian spices; soy sauce, garlic and ginger, paired with a scallion and placed on a bamboo paddle skewer. 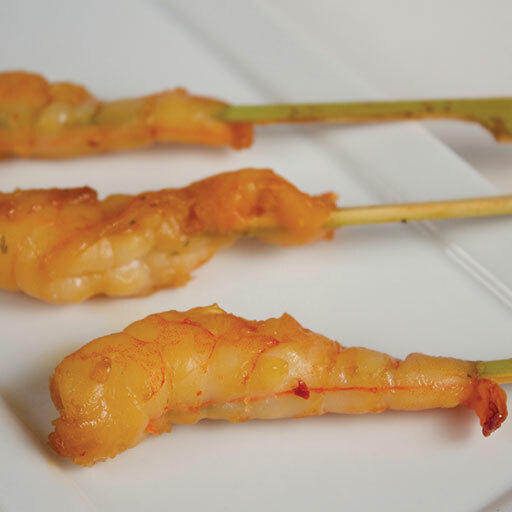 Whole tail on shrimp marinated with spices, wrapped in a crispy spring roll. 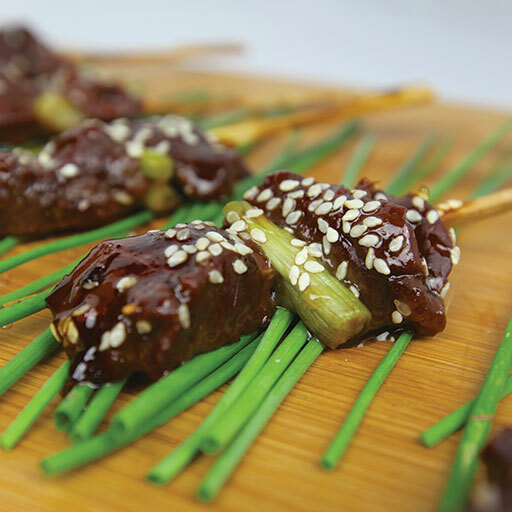 Two tender pieces of beef sirloin coated in a teriyaki, Mirin wine glaze finished with spring onion, on a bamboo paddle skewer. 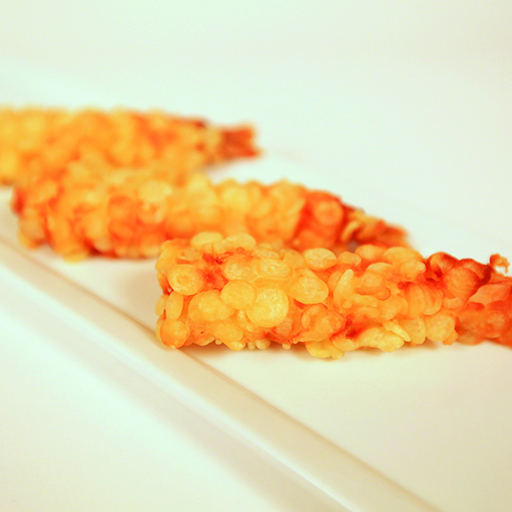 Classic shrimp tempura dipped in tempura batter and coated with rice crispies. 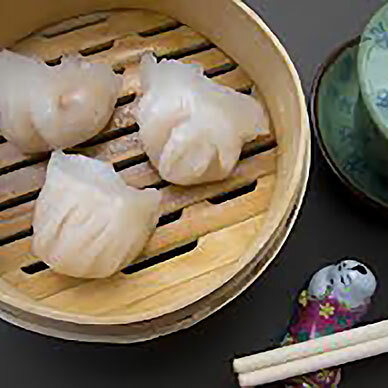 Traditional steamed Bao Buns left empty for you to create any dish. 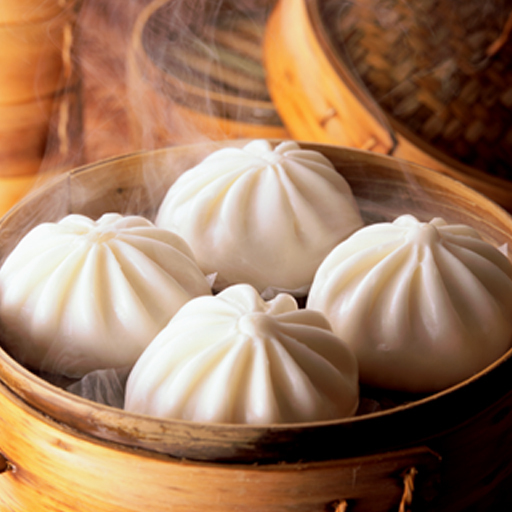 Traditional steamed buns filled with BBQ flavored pork. 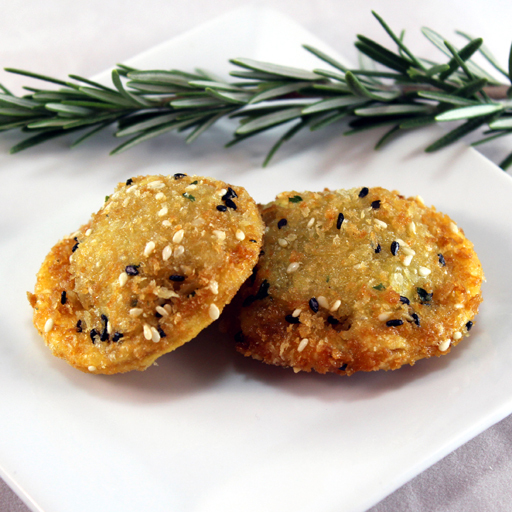 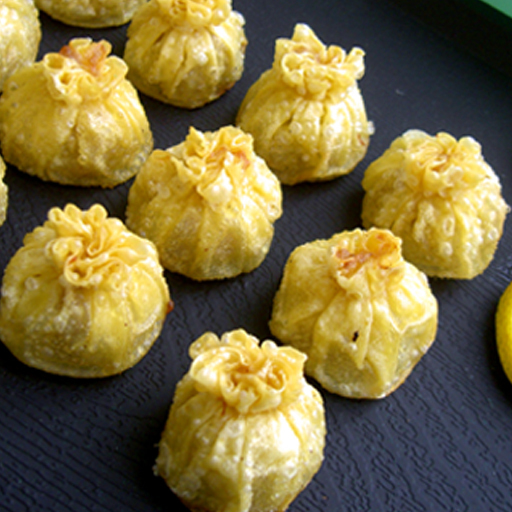 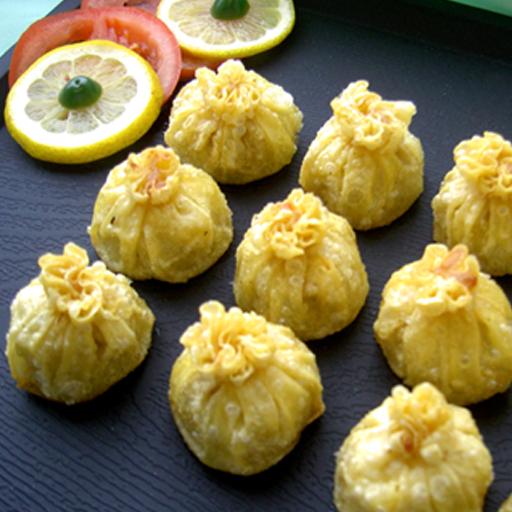 An Asian vegetarian staple, these delicate pastries are filled with authenticity. 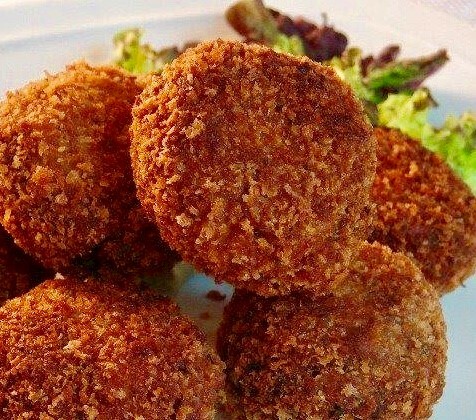 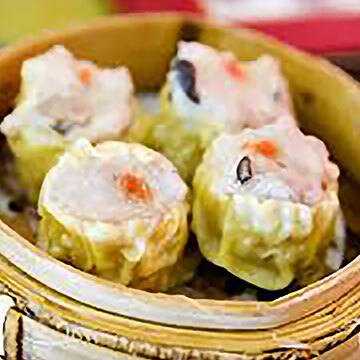 Steamed or deep-fried, a delicious combination of shrimp and tender Chinese vegetables. 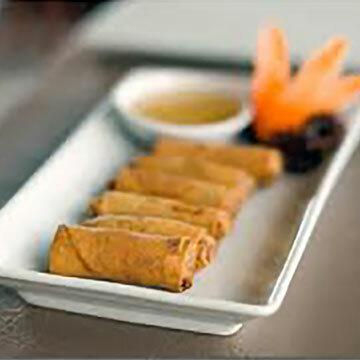 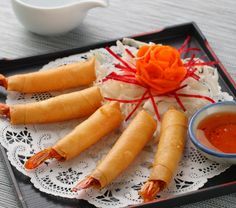 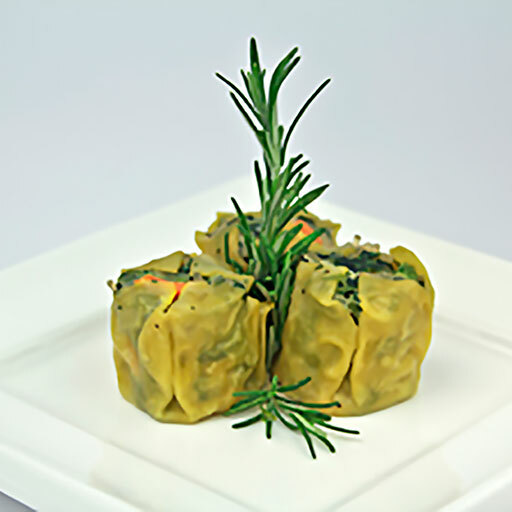 A blend of succulent shrimp and crisp bamboo shoots, delicately wrapped in paper-thin Asian pastry and ready to steam. 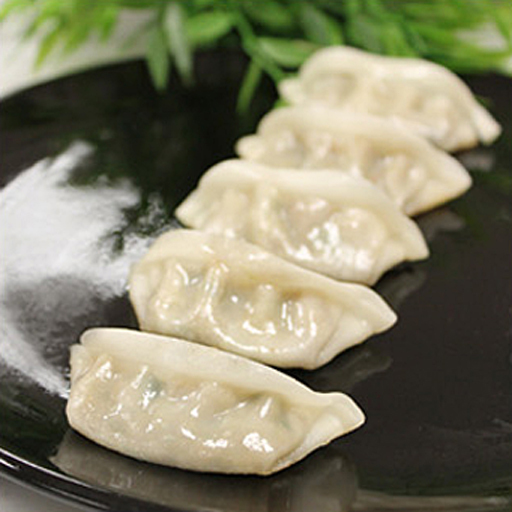 A traditional Asian potsticker filled with tender pork and shrimp, folded in an authentic skin. 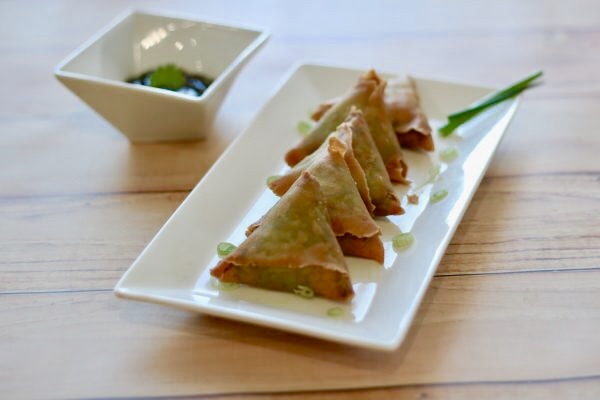 Chicken wontons made with a thin pastry wrapper and filled with savory minced chicken coupled with finely minced ginger, finely chopped onions, sesame oil and soy sauce. 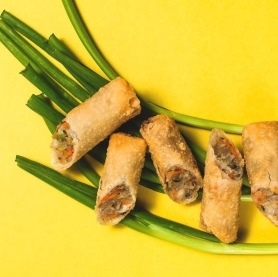 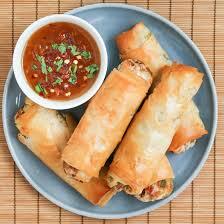 Traditional miniature vegetable egg rolls. 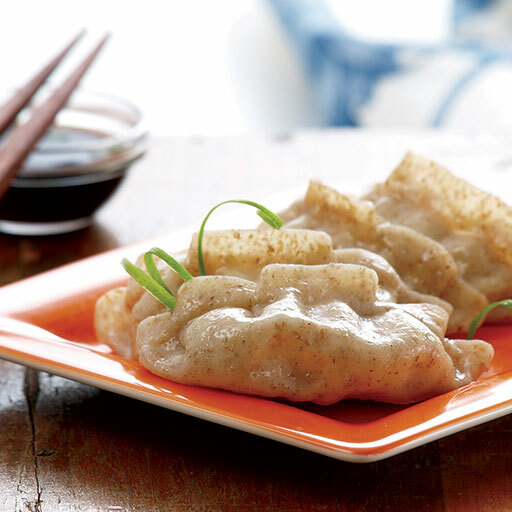 Peking style duck filled round ravioli lightly dusted with panko bread crumbs, and black and white sesame seeds. 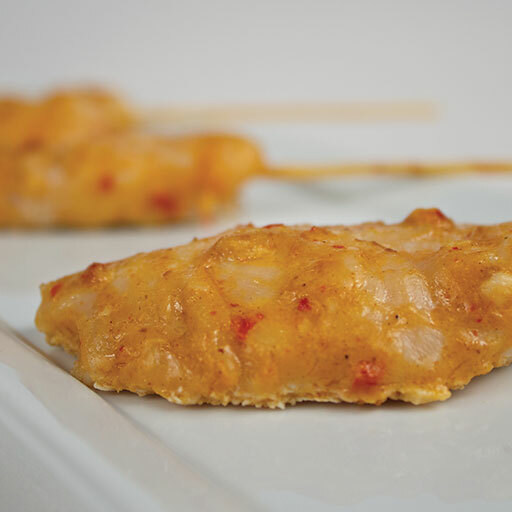 21/25 shrimp glazed in our Asian style tamari sauce with soy sauce and ginger, served on a paddle skewer.